In my part of the world, the vegetable garden is winding down for the winter. Actually, I’m always amazed how some of these plants can withstand the cold and continue producing. We’re still harvesting hardy herbs and vegetables from our organic garden in late November. The wintertime plant defenses are starting to be apparent this time of year in my organic garden. Many plants are exceptionally good at surviving, not just temperature changes but many environmental threats. 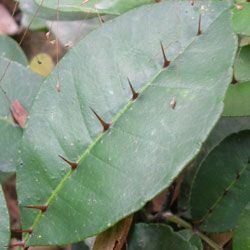 Some have thorns to ward off animals (useful for protecting your vegetable garden). Some have thick bark, or thick hair, or wax on their leaves. Some even build themselves with ingredients that are difficult for microbes to digest. They produce chemicals plant defenses. Some of them are kept in a special storage area of the plant to be moved and used only when needed. Others are in the leaves all the time. Some are produced as more of a general feeding deterrent and some are quick acting poisons. Hydrogen peroxide is used to counterattack enzymes secreted by certain pathogenic fungi, while other chemicals just kill the fungi directly. Some of these chemicals become our pharmaceuticals and pesticides. Interestingly, salicylic acid is abundant in many fruits and vegetables when they are grown on healthy, living soil. Aspirin uses a synthetic alternative, acetylsalicylic acid, which causes all kinds of horrible side effects. I can follow my doctor’s advice and take aspirin every day if I want to experience some of these side effects, or I can eat fruits and vegetables grown on healthy soil. Plants also employ others to help defend them bacteria, fungi, and even insects. 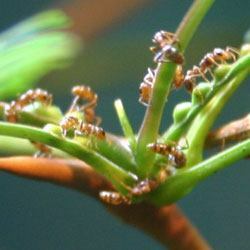 One of the most famous insect examples is the ant-acacia relationship. Certain species of acacia trees provide homes and food for ants, who in turn protect the trees from insects and even herbivores. They even prune away other plants that are getting too close. More common to all plants, bacteria and fungi colonize them from head to toe, protecting them in exchange for food. Different kinds of plants have different survival strategies. Some of them are physical plant defenses. Some plants, especially annuals, survive by simply growing really fast to get above plant-feeding animals and by producing tens of thousands of seeds per flower. Longer-lived plants spend more time building strong root systems, difficult-to-digest plant parts and bark, and toxins. When their branches get injured, they just discard them and grow new ones (I wonder how long it will be until we evolve that skill). Before they drop them, they make sure to build a strong scar, often with toxic chemicals, so predators can’t get in. This is one reason in organic gardening why we don’t necessarily want to prune all damaged plant parts, or the leaves and flowers of our perennials that are turning brown after flowering. Each plant will drop them when it’s ready, after it has recycled nutrients and other substances, and created that scar. The reason it’s good for us to learn about all of these plant defense mechanisms is because in order to produce strong bark, build strong leaf scars, produce toxins, cooperate with other species, and produce many seeds, plants need healthy organic soil. Plants are exceptionally good at surviving, if they have the raw materials they need. Have you ever experienced any of these amazing abilities of plants? The thorns? The toxins? The medicines? Previous: Medicinal Plants List From My Organic GardenNext: Vegetable Garden Layout – Rows, Square Foot Or Wild? Hi Ruth, good question. It kind of depends on the situation and the plant species. In general, I’m not a big proponent of pruning. I like plants to grow to their natural form. If you’re referring to smaller, herbaceous perennials, it’s not as big of a deal, but I would tend to leave them and let the plant do what it wants with them. You can clean them up later in winter/early spring, and some of them look nice over winter. But if they are an eye-sore now, you can remove them.For woody perennials, I prune them as little as possible. If they’re too big for where they are, I often remove them instead of having to hack them back every year. But if you want to leave them where they are, and if they need pruning, right after flowering is often best. 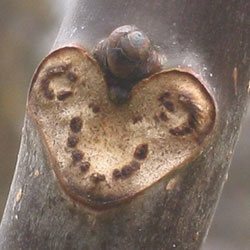 If you prune too late in the year or wait until spring, you may remove many of next year’s flower buds. Hope this helps a bit. It does depend on the plant type. That is the usual recommendation, but I have a different point of view. You can never remove the disease entirely. Billions of spores will always be there waiting. And more important, removing the diseased plant parts doesn’t address the reason the disease is showing itself in the first place, which is a nutritionally imbalanced plant and lack of a healthy, diverse microbe population. Removing the plant isn’t a sustainable solution either; if I have a field full of diseased crops, I can’t just keep removing all the plant material every year. I’ll degrade my soil even faster. I know this is different from the conventional viewpoint, but I’ve researched and practiced it a fair amount, and I believe it’s the most important paradigm shift we need to make. But a little comment like mine here can’t do it justice. Hi Susan, thanks so much for the nice comment. I needed it today! To be honest, I began looking into biochar one time, but got a bit overwhelmed by the complexity of the topic, so I didn’t do enough research to form a good opinion. I certainly think biochar can help the soil, but my concern is about the potential environmental issues with manufacturing it. Some people who I respect are proponents of it, and some are against it. I really have to get into the science in more detail. Perhaps I’ll do that this winter.Update: After some research, I believe that biochar has just as much potential to harm the soil as help it (by imbalancing fertility). It’s also a very energy-intensive manufacturing process. There still may be potential, but in my view, all signs point to sticking with compost. I’ve observed winter cabbage and broccoli which always look very dehydrated during, and right after, a cold night and frost. The same plants then perk up and hydrate again once it warms up to above zero. Our interpretation has always been that the plant will pull much of its moisture into the ground and its roots when the temperature drops to avoid any cellular bursting and then return that water when there is no longer any danger of frost damage.Have you heard of such a process before? It seems like a very smart plant to be able have a biological thermometer which triggers a hydration transfer mechanism. But I wouldn’t put it past them any day. Sorry Adam, I didn’t see this earlier. That’s an interesting theory. It may very well be true. I don’t believe I’ve heard anything like that. Another thing is I believe the water in plant cells has a lower freezing point than regular water. Humm, I think that about 1/4 of cytoplasm is not water. So that could help account for it. Hey Phil, Happy New Year! do you have any references on the negative effects of Gypsum? Hi Connie, nothing that comes to mind. Are you referring to the problems with using drywall gypsum as fertilizer? Or just the antimicrobial nature of naturally-mined gypsum rock? Sorry, I’m not sure what that is Reg.